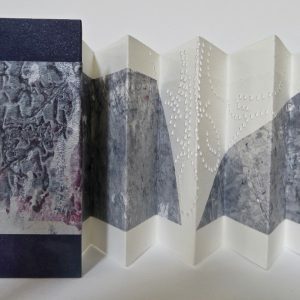 This pocket accordion with inserts has been made from original prints from an engraved plate and a collagraph plate. The engraved illustration board was intaglio printed on printmaking paper. Then the collagraph plate, containing various materials such as papers and fabric, was used to blindly emboss the same sheet of paper. The embossing on the inserts have been rubbed with some golden Gilders wax. Inspiration for this markmaking comes from mycelium which is found in and on the soil. It’s the vegetative part of a fungus or a fungus-like colony. 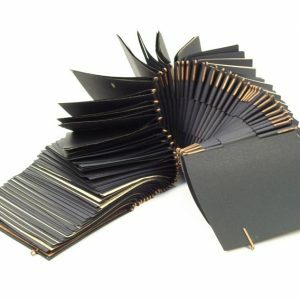 The pocket accordion fits in a black slipcase which has been made from printmaking paper. 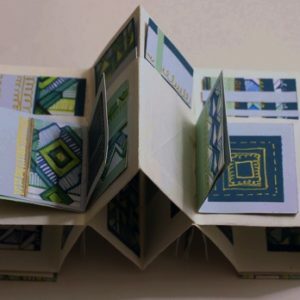 Fenneke Wolters-Sinke is a visual artist and tutor living and working in Scotland. She is inspired by textures, patterns, colours, tones and shapes found in nature. 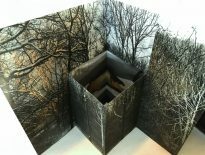 She experiments with a range of mediums such as printmaking, digital processes, painting, drawing, papercutting, assemblage and artists’ books. 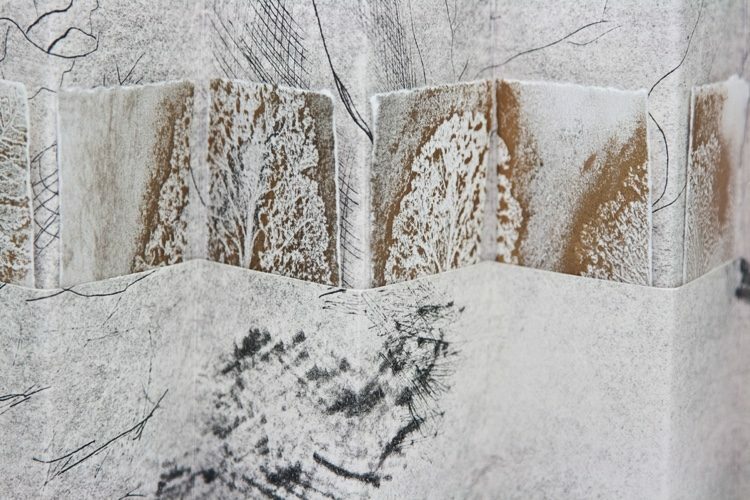 Recently one of her flagbooks was shown at Bankside Gallery, London, during the National Open Print Exhibition. 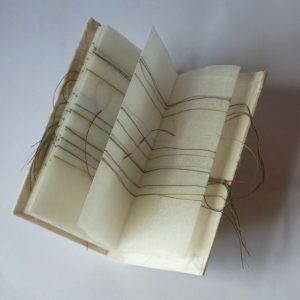 Two other artists’ books were shown and sold at the RSA Open in Edinburgh. 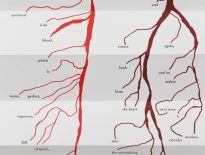 In 2018 she received the VACMA award for a printmaking residency at Zea Mays Printmaking in the USA.